In June 1980, our chapter recognized Sigma Chi's 125th anniversary with a celebration at the chapter house. All over North America, chapters were hosting parties to celebrate the event. In Knoxville, alumni, actives, Little Sisters, rushees and dates were part of the scene on a hot summer afternoon. 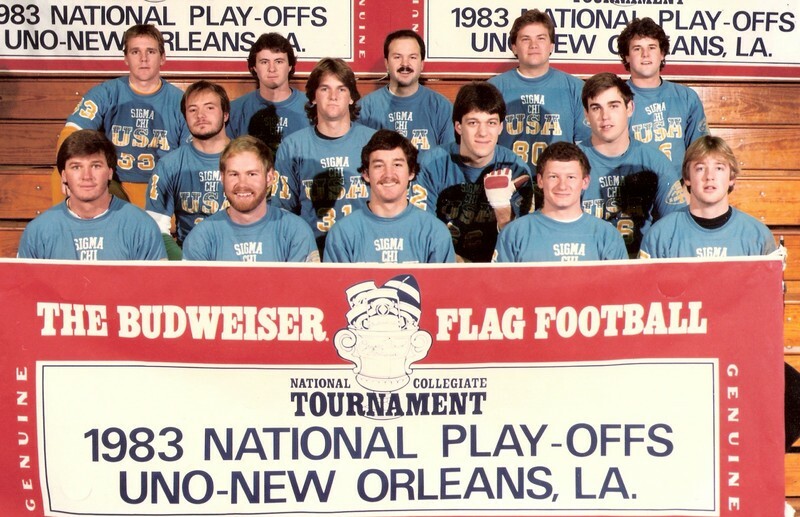 The 1983 I-M flag-football team played in the National Playoffs.